It may seem strange that Google's Android Marshmallow release brings such a big jump in version number, but those of us obsessing over digits are missing the point. Damn it, Google. Every time you announce a new major Android release, I end up throwing away hours of hard gym work and stuffing pounds of sugary sweets into my grinning cake-hole. And now you've just done it again. Oh, who am I kidding? I'd be eating the sweet stuff either way. But Google's habit of naming Android releases after desserts (or "tasty treats," if you want to get technical about it) sure doesn't help. The big news this week, as you may have heard, is that the next version of Android -- the up-til-now enigmatic Android "M" -- will officially be known as Android Marshmallow. But you know what? While taking the wrapper off the moniker is fun (not to mention a great excuse for speed-eating s'mores), what's more surprising is getting the skinny on the number that goes with that yummy-sounding name. While most of us expected the M release to be a minor bump up from 5.1 to 5.2, Le Googlé has revealed Marshmallow will actually bring us all the way up to a big, round 6.0. Six-point-oh? Good golly, Miss Molly! That's a hefty number jump -- especially when you consider how slowly Android's version numbers have climbed in the past. We had Android 4.0, the delectable Ice Cream Sandwich, in late 2011. Then Android 4.1 and 4.2, both Jelly Bean, in 2012. The next year brought us a third Jelly Bean release with Android 4.3. That same fall, we got a taste of KitKit in Android 4.4. And a year after that, in October of 2014, Android 5.0 Lollipop made its way into our lives. That's three years and three named releases -- Ice Cream Sandwich, Jelly Bean, and KitKat, all of which had their fair shares of visual refinements and feature additions -- all staying within the 4.x family. And now we're jumping from 5.x to 6.0 within a single year and a single letter change. It's interesting, to say the least. As I mused on social media yesterday, the jump sure seems like a long one -- and I'm not the only one being caught off-guard. Android 3.0, Honeycomb, marked a drastically new direction for Android -- with a revamped UI (reserved specifically for tablets, strangely, but nevertheless) that ushered in the beginning of Google's focus on polish and user experience. It was when we started to see things like purposeful animations, interactive notifications, and intelligently scaling "tablet-optimized" interfaces. It was also when physical system buttons started to go bye-bye and virtual on-screen keys came into the picture. Ah, Honeycomb. We hardly knew ye. 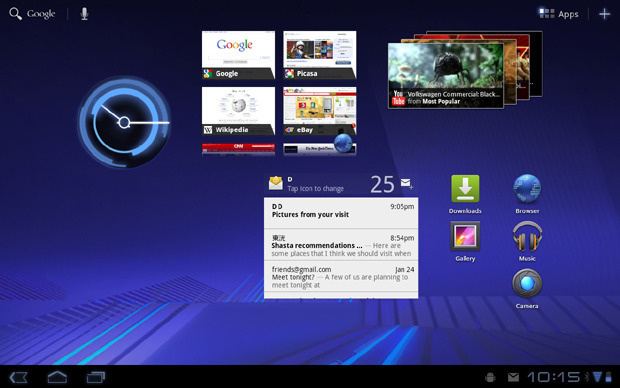 Android 4.0 carried those same concepts further and took them into the realm of smartphones. With its blue-themed Holo motif and sleek new Roboto font, it was arguably the start of the modern era of Android UI for most mobile-device users. And then Google started to focus on refining rather than reinventing for a while -- a natural and understandable shift. The 4.1 release packed a lot of visual polish, not to mention the launch of impactful OS elements like a card-based search system and the ability to use natural-language voice commands -- oh, and a little thing called Google Now. Later revisions of Jelly Bean brought about elements like the top-of-screen Quick Settings panel, the platform's first multiuser mode, and a ton of important improvements to system-level security. But those releases remained 0.1-level bumps, as did the subsequent KitKat release -- which, lest we forget, focused on allowing Android to run on devices with as little as 512MB of memory and delivered platform-propelling features like system-level wireless printing and native support for IR blasters, low-power sensors, and low-power Bluetooth devices. It also introduced some extra-Googley elements into the platform, like the home screen design that'd eventually become the Google Now Launcher, and started the move away from the operating system's once-trademark bluish hues (pour one out for an old friend, won't ya?). I mention all of those specifics to emphasize that those were no small releases; there was plenty going on with each of 'em, ranging from significant new features to noticeable visual advancements. But there weren't any sweeping changes to the core UI -- and the updates weren't full number jumps. See? The full number jumps have generally been limited to releases with sweeping visual changes -- like what we saw with last year's transformative Lollipop or Honeycomb and ICS before it. So why is Marshmallow -- which, like some of those past releases, packs plenty of significant changes but doesn't feel like a whole new OS -- getting the honor of its own point-zero number? It could be that Google thinks things like Now on Tap -- a feature that truly could be transformative -- is enough to justify the jump on its own, or maybe in conjunction with Marshmallow's new selective permission-granting system and the integration of Android Pay. One could certainly argue, though, that comparably significant features were included in some of those previous releases, and those didn't get the full number-jump treatment. It could be that Google wants to distance itself from the negative connotations surrounding the initial 5.0 release, a la Microsoft and Windows 10. That may or may not be the case, but it's hard to deny it as a possibility. Or it could be a mere matter of marketing -- that a full-number release sounds more significant and Google wants to get in the habit of making such releases a more regular occurrence. A "big" release is more likely to get attention from the mainstream media as well as from manufacturers, who might feel more pressure to provide it to both existing and upcoming devices as quickly as possible. After much deliberation, contemplation, and marshmallow mastication, I've come to one near-certain conclusion: We'll probably never know the real answer. And -- here's the kicker -- it really doesn't matter. With Android, the version number is almost more of a technicality than anything. It's there for developers, but it doesn't mean much to anyone in the real world -- and that's precisely the way it should be. As our brief trip through past releases illustrates, we've seen lots of small-sounding point-one upgrades that have packed plenty of punch. So regardless of why Google is going with 6.0 for Marshmallow or why it's changing its approach to Android version numbering in general, all that ultimately counts is the software itself -- not the number attached to it, which has practically zero impact on anyone's day-to-day device-using experience. Now, which manufacturers will actually make it a priority to get Marshmallow out to consumers -- that's a question that carries weight. And you'd better believe it's one I'll be watching closely. Get your graham crackers out and your chocolate bars ready, gang. A whole new round of Android upgrade excitement is upon us -- and it's so close, you can almost taste it.